San Diego: Harcourt Brace Jovanovich, 1986. 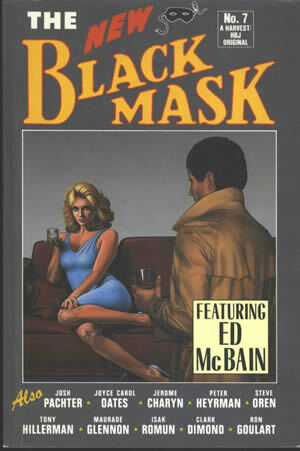 The New Black Mask No. 7, edited by Matthew J. Bruccoli and Richard Layman, contains a story by Tony Hillerman, "Chee's Witch," beginning on page 85. The story, according to Tony Hillerman, was an experiment with certain plot elements. He states, "Readers of my books may notice that one of these ideas later became an important part of The Dark Wind and the other the key to The Ghostway." This volume also contains stories by other well-known writers such as Joyce Carol Oates and Ed McBain. It was published by Harcourt Brace Jovanovich in 1986.